A real girl living and dating near Philadelphia. My goal here is to explain why my advice is worth taking, based on my years of experience, my research, my woman's perspective, my compassion, and my interest in why things are – not just in spouting unsupported "rules" of conduct. I started online dating in 2010. OkCupid is my favorite (and I spend lots of time there with my clients, and doing research). I also have used Match.com, Plenty of Fish, eHarmony, HowAboutWe, and a bunch of apps, like Tinder, Bumble, and CoffeeMeetsBagel. I’ve met lots of smart, funny, good guys online, IRL, and through my circle of friends. Most of those men were confused about online dating. That’s why I started MenAskEm. I believe good guys should always get the girl. But online dating can be complicated and confusing for men who don’t know what women want. Too many guys don’t know what to say in a message, how to write a good profile, or pick the right pictures. Those guys keep striking out, and eventually give up. This makes me really sad. These are great guys who deserve to meet great girls. 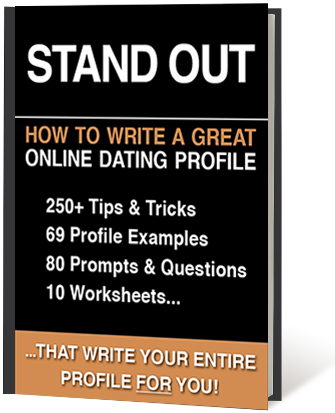 They aren't bad at online dating – they just need to know how to be good at it. Since 2010, I’ve received thousands of messages – some good, many terrible. I’ve read countless profiles – some funny and interesting, many boring or obnoxious. I’ve researched online dating studies, articles, and recent census surveys. I've interviewed other women and men about their best strategies, worst pet peeves, and their horror stories and happy endings. I know what messages women reply to, what profiles get our attention – and WHY. Plus, as a copywriter, web designer, and business owner, I know a thing or two about great writing, persuasive marketing, and crafting the right first impression. MenAskEm gives this knowledge to the good guys – the men who want to do this right. The guys who deserve to get the girl. It might take some extra effort. But it’ll be worth it. If you’re one of the good guys, you deserve an edge. I put everything I know on this site and in my eBooks in the hope that they will help you meet someone wonderful. I'm here to help you, anytime.